In summer, relax on our sun terrace or in our garden. Our sunny balconies are the perfect place to watch the sun going down behind the Hohe Salve mountain. Hiking - a traditional sport - is defintitely one of the most beautiful activities in our region. Use our numerous cable cars for the first stage -then the surrounding summits are easy to reach. Suggestion for moderate hikers: up hill with the cable car "Alpenrosenbahn" in Westendorf - easy hiking trail passing the lake "Kreuzjöchlsee" to "Wiegenalm" - "Brixenbachalm" Duration appr. 2,5 hours! 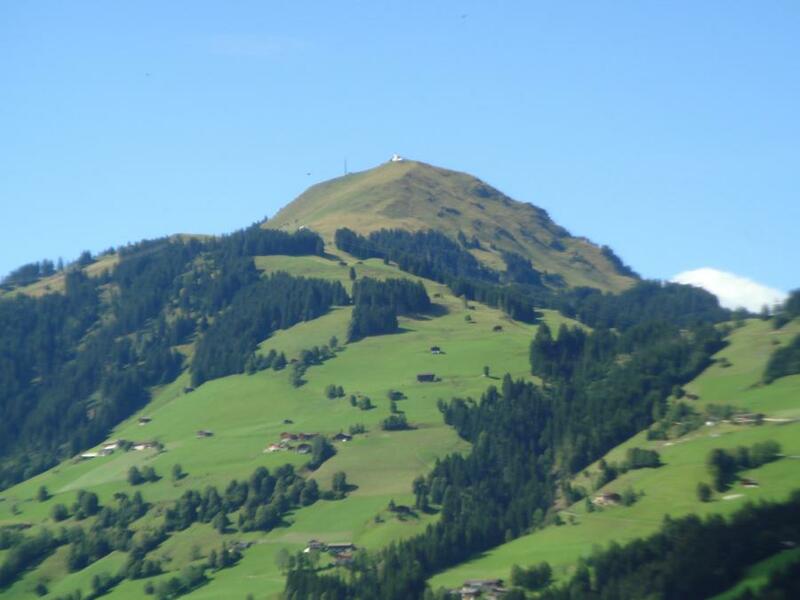 Summits as the Gaisberg or Gampenkogel are also easy to reach from our pension in 2-3 hours. And for families with children there is an adventure on almost every mountain: e.g. the largest and most famous theme park Hexenwasser Hochsöll, Ellmis Zauberwelt, and also smaller (but no less exciting) attractions such Filzalmsee Brixen, Alpinolino Westendorf or the Kaiser Scheffau. All of these theme parks offer everything to children (and therefore to the parents) and make a day fading away quickly. Bike trails lead through the entire Brixental and are perfect for a family trip. For mountain bikers, plenty of trails are available and provide a challenge for sportive bikers. We are located near the bike trail to Kirchberg and right on the mountain bike route direction Gaisberg. Our public outdoor swimming pool in appr. 1 km distance is awating you with baby pool and water slide, the appropriate lake offers bathing surrounded by nature! Tennis courts are right next door and can be rented. There is a variety of activities to do - programmes are offered by the local tourist board. And finally - Brixen is well located - Innsbruck and Salzburg with historical and cultural highlights are less than 100 km away, it takes you a drive of appr 1,5 hour to go to Munich. Achensee, Tegernsee, Chiemsee are popular destinations for day trips. We recommend a visit to the glamorous town of Kitzbühel (distance 11 km) - A stroll through the old town is free, bargain hunters will be disappointed!